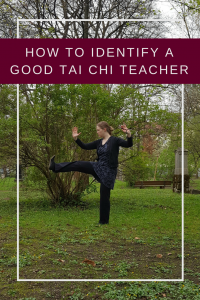 From one of my newsletter subscribers I received the following question: how do I find a good Qi Gong teacher or Tai Chi teacher when there are so many styles, schools, masters, forms & sets? Well, first I would like to tell you how I found my first Tai Chi teacher. At that time I worked 60-80 hours per week usually in another city, so I knew I could only learn on the weekends. There were quite a lot Taijiquan and Qi Gong teachers where I lived. But my first teacher was the only one who had an ongoing course on Sundays! And I am really happy that I found her back in 2004. However, looking at all the other teachers back then, she was not the most experienced teacher. She was not the one with several books published. She was not the one with the most students and the most established school. But for me (and many others) she was just perfect! So if you are looking for a teacher, look for someone who is the right match for YOU. That could be the world-famous Taijiquan teacher in your country. Or the Qi Gong master 1 hour away. But it could also be the one teacher just right around the corner. But how do you find that right teacher for you? Obviously, start searching online or maybe you find a flyer. In some countries there are certificates for Qi Gong and Tai Chi teachers, which might give you an idea of the quality. Then you book a class and go for a trial lesson. Health & Safety: That’s easily understood, but I would like to emphasize it: of course the teacher should make sure that you do not get hurt during class. And you should be open about your health issues. The teacher should be able to respond (e.g. do more seated exercises if you cannot stand that well). You could also have a look at the teacher: does he/she look healthy? As a rule of thumb I would say: the more health issues you have, the more experienced your teacher should be! Sympathy: You want to go to that course every week. Look for someone who is friendly. Because it is a greater pleasure to spend your time with people you like! And have a look at the other students, if you like being around them, too. Trust: In both Tai Chi and Qi Gong you need to relax and let go. That is much easier, if you trust your teacher! This includes that you feel being seen during the lessons. That the teacher will correct your posture individually. That you actually can ask questions! 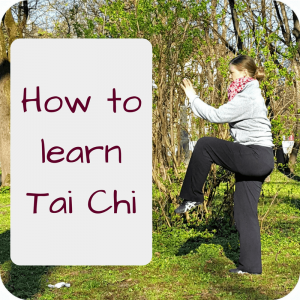 Learning: Do you have the feeling that you can learn something from your Qi Gong or Tai Chi teacher? I mean not only about Tai Chi and Qi Gong, but can you learn something for (everyday) life, too? And naturally if you are more advanced, it will be become more important which Taijiquan style or which Qi Gong set he/she offers. Then you would also look at the other students and see how well they are developing (good students = good teacher!). Laughing: For me, this is a very crucial criterium. I went to trial lessons where we did not laugh, not even smile during 90 minutes. I take Tai Chi and Qi Gong very serious, too, but laughing is really the easiest way to relax. And it is much nicer to learn Taijiquan and Qi Gong in an easy, positive atmosphere. Although the moves and exercises, maybe even the class room (chinese signs, buddhas & incense!) 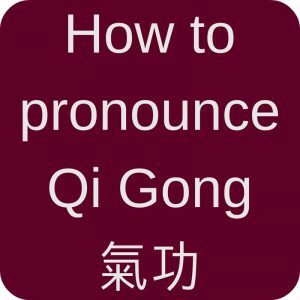 might be a bit strange and intimidating in the beginning, if you feel comfortable with the teacher, learn Tai Chi and Qi Gong from him or her. That teacher will probably not be your only teacher. Just get started! And if you would like to read someone elses’ perspective on the mystery of finding a good teacher, read this. And obviously if you have any questions, write me an eMail! 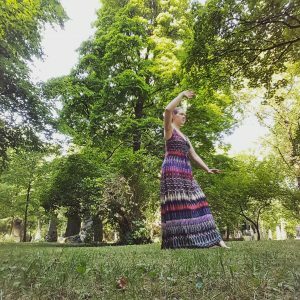 This entry was posted in Thoughts and tagged learn, Qi Gong, Qi Gong for beginners, Tai Chi for beginners, Taijiquan on 2016-05 by Angelika Fritz. Pingback: Should you call your Tai Chi teacher "Sifu"? 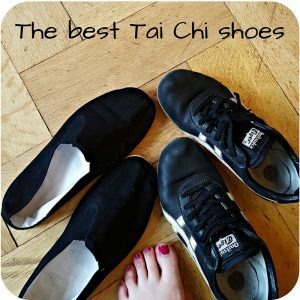 Pingback: My thoughts on how to learn Tai Chi Chuan / Taijiquan?